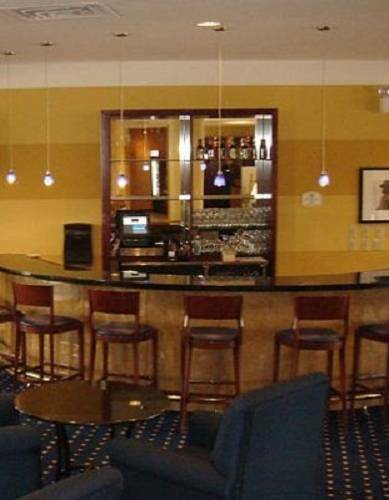 Experience Historic Gettysburg in style at the newly renovated Courtyard by Marriott Gettysburg. The Courtyard by Marriott Gettysburg is located just 2.5 miles from the center of Gettysburg's popular historic sites at the convenient crossroads of US 15 & US 30 in the Gateway Gettysburg Campus. The Courtyard by Marriott features 152 spacious, contemporary guest rooms, indoor pool, Bistro and walking distance to Gateway Movie Theaters. Your troops will enjoy easy access to attractions including: Gettysburg National Military Park & Museum, Eisenhower Historic Site, Gettysburg Heritage Center, Outlet Shoppes at Gettysburg, The Links At Gettysburg (golf), Liberty Mountain Resort (skiing), Adams County Winery and Ghost Tours in Downtown Gettysburg. We offer Pet Friendly rooms. The Bistro: Quick, cook to order breakfast and dinner featuring Starbucks Coffee.